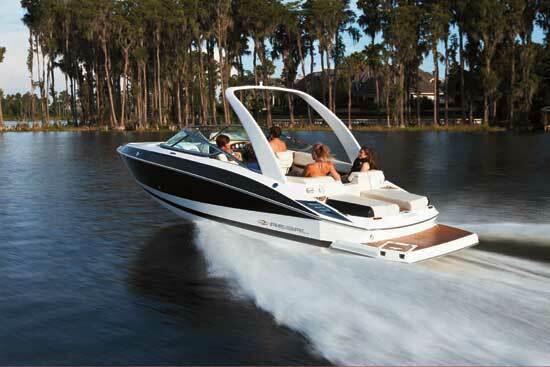 Regal's latest model combines innovation and the FasTrac hull shape into an all-around runabout experience. If you look at Regal boats throughout the decades the company has been in business, it becomes clear the boatbuilder never looks back. Regals from the ‘70s and ‘80s don’t look like Regals from the ‘90s. Likewise, the models the company is building today are strikingly different from those built no more than ten years ago. And that’s a good thing. The RS package comes with a smoked, low-profile windshield and offers more than 60 gelcoat color schemes. Designs have their time in the spotlight, and once a given era is past, those designs often become passé. They might eventually come around again, but many design themes disappear forever—thankfully. So, no, your avocado green appliances will never be cool again. Nor will your skinny piano tie, your striped corduroy bellbottoms or your Member’s Only jacket. It is safe to throw them away and move on, as Regal has done with its older designs. 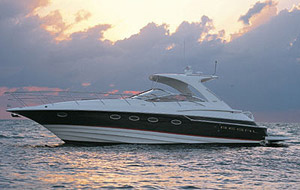 However, Regal has not thrown away what works, namely the FasTrac hull design introduced in 1996. FasTrac hulls feature a full-beam step—albeit a small one—in the middle of the boat that makes it more efficient. 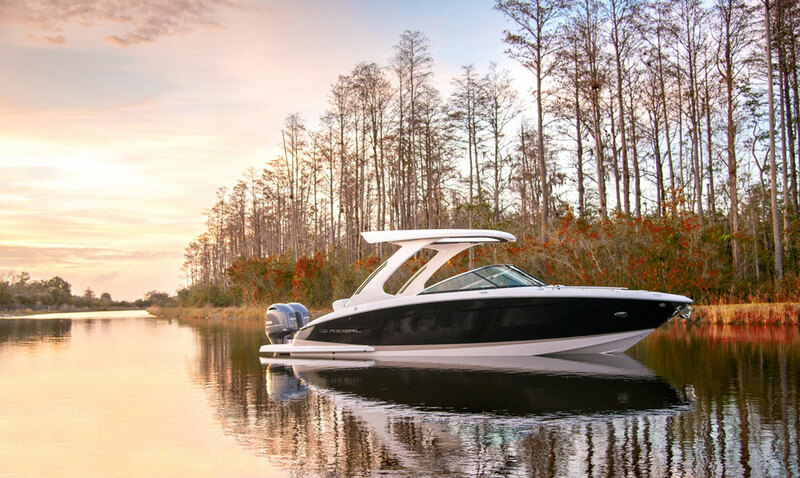 Normally found on performance boats, the stepped hull introduces air beneath the hull to reduce surface tension, which minimizes the water’s parasitic drag. Imagine driving your car around in second gear with the brakes on all the time, and you get an idea of what it takes for an engine to push a boat along the top of the water. 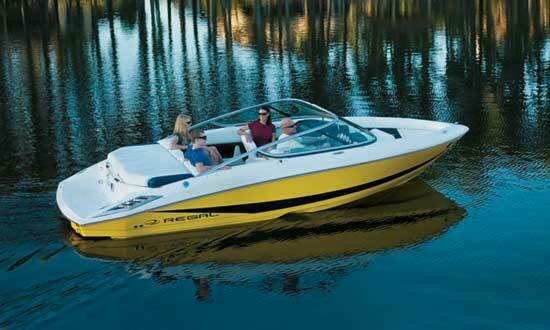 With the FasTrac hull, the 2100 can cruise at 31 mph and hit a top speed of 48.5 mph with a 220-horsepower V-6 engine. Yes, a V-6. Yes, you can get a wakeboard tower with racks, one of many options. 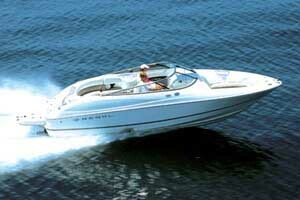 Naturally, that makes me wonder how fast it’ll go with the available 300-horse V-8’s from Volvo Penta and MerCruiser. 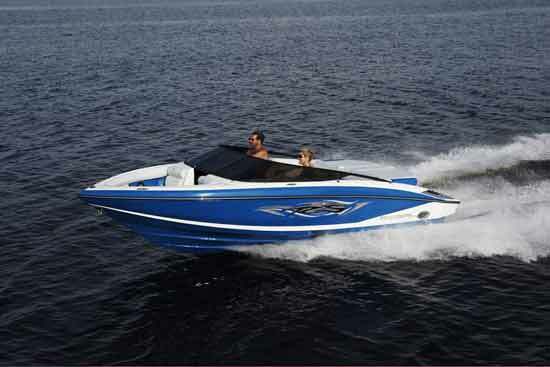 I also wonder how the base 2100 would perform with the available 190-horsepower Volvo Penta D3 diesel and DuoProp setup. Much as I love the power and rumble of a V-8, I am intrigued by the efficiency and frugality of modern diesels. I hope we see more of them offered in small recreational boats. 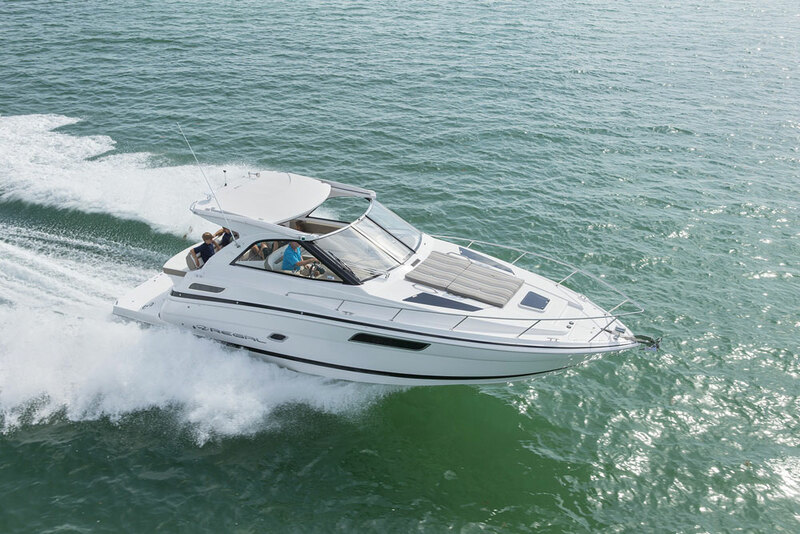 FasTrac hulls feature a full-beam step—albeit a small one—in the middle of the boat that makes it more efficient. For versatility, Regal offers two cockpit configurations on the 2100 FasTrac. Buyers can go for the usual twin swivel bucket seats and a rear bench. The other layout features a wraparound bench seat on the port side, with an aft-facing observer’s lounge. 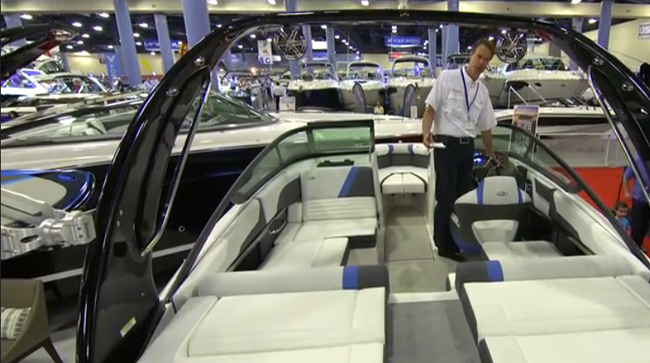 Up front, the bow area features plush padded coaming panels and forward-facing lounges with gently angled backrests. Buyers can get the RS package, which comes with a smoked, low-profile windshield and offers more than 60 gelcoat color schemes, three interior color packages, and 25 optional features. 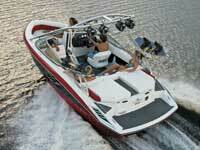 They also can get the RX package, which leans more toward the watersports enthusiasts. Yes, you can get a wakeboard tower with racks. In either configuration or in standard trim, the 2100 FasTrac comes with a full-width sunpad with a walk-through to a huge-for-a-runabout swim platform. Taking a cue from the towboat manufacturers, Regal hinged its hatches at the sides so you can access them from the swim platform or the cockpit. Other nice touches include six retractable cleats, aluminum dash panels that won’t crack or become brittle like a plastic would, a Dino sport grip steering wheel, tilt helm and flip-up thigh bolsters. Prices start at $42,473, which does not include a trailer. The 2100 FasTrac might not look like past Regals, but that’s not necessarily a bad thing. 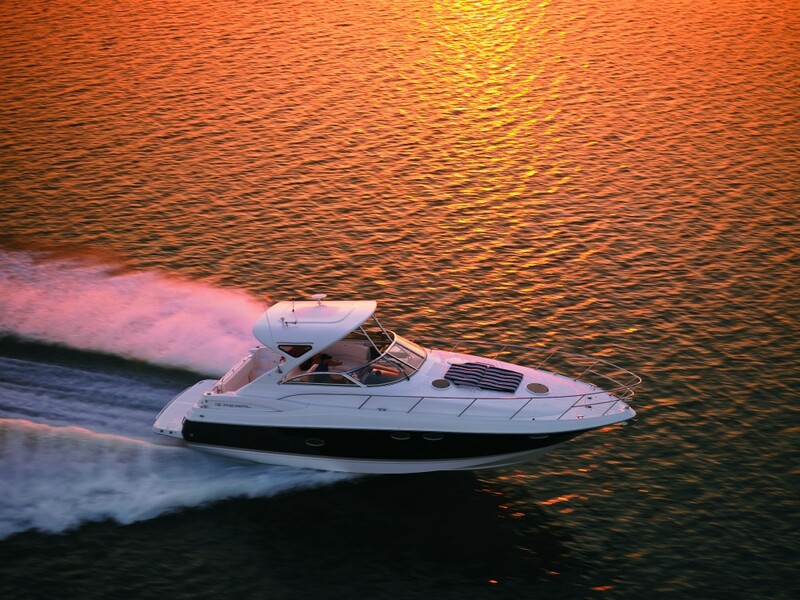 It is evidence of a boat company that moves its products forward and continues to innovate, even in these lean economic times. For more information on the FasTrac 2100, visit Regal's website.